Well, Valentine’s Day is a whole month past us now. Whatever it was for you, there’s not another one for eleven months. Womp, womp. Or hooray. Wherever you stand! I love romance. I love celebration. And I love any chance to have some fun with my husband. It can be a bit overwhelming sometimes for those of us who have a lot on our plates—which is to say, of course, ALL OF US. So I simplify. 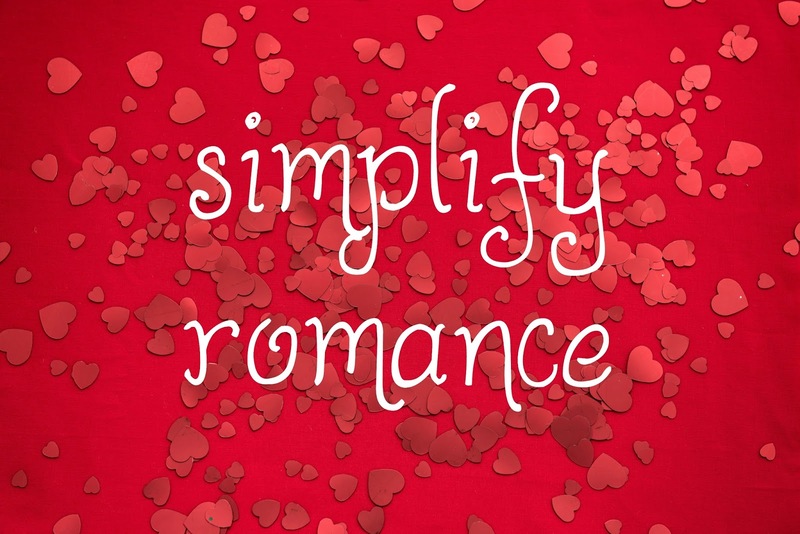 I simplify romance. Don’t check out on me cause it sounds boring. There’s something to be said for keeping the romantic fires burning instead of having a big old bonfire once a year. I plan big dates, yes. I make big gestures, yes. But mostly, I just simplify romance. I keep a stack of cards and a pen in an easy to get to place so I can jot him a love note. I send him a love song on iTunes. I write him silly notes on a chalkboard we keep in our entryway. I buy him peanut m&m’s at Publix and put them fun places for him to find. I throw confetti at him when he walks through the front door on a random day just to welcome him home. Simple things. Silly things. But romantic things. Takes me two minutes. No time at all. And it makes all the difference. Not according to me! According to him. As I was leaving to teach Glow not too long ago he told me he really hopes I encourage the women there to do nice things for their husbands. He tells me over and over again that me treating him this way makes him want to be a better man. So there’s the man’s point of view if you need a little nudge. Now, of course you don’t have to do what I do. Maybe your husband hates peanut m&m’s and would only gripe at the confetti. But you know him. You know what blessing would mean to him. Do it! What do you have to lose? Take 10 minutes—come on…you know you have 10 minutes!—and list as many things as come to mind that would be simple and appreciated. 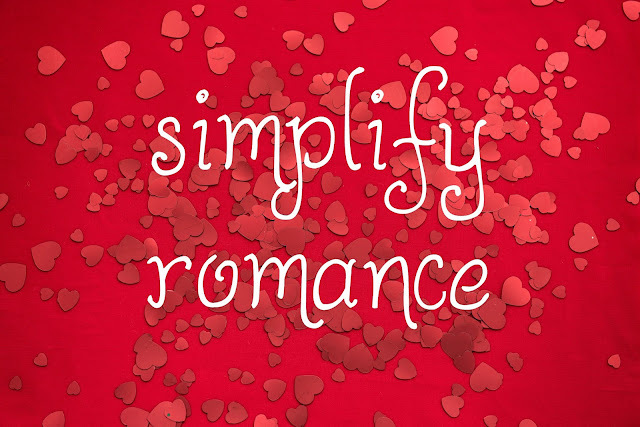 Simplify romance and be a light to your guy. Jesus told us we’re to be the light of the world in Matthew 5:14. What better place to start shining bright than in your own marriage?